*Varies depending on class size. If you can learn to draw the face or the figure, you can draw anything in the world! Working from a live model, coursework in this five-week class will be evenly divided between portrait and figure. With instruction in both drawing and painting, students will develop observational skills, learning to see value, edges and negative space. A limited palette will be used to explore color, as students gain knowledge and confidence in color-mixing and brushwork. 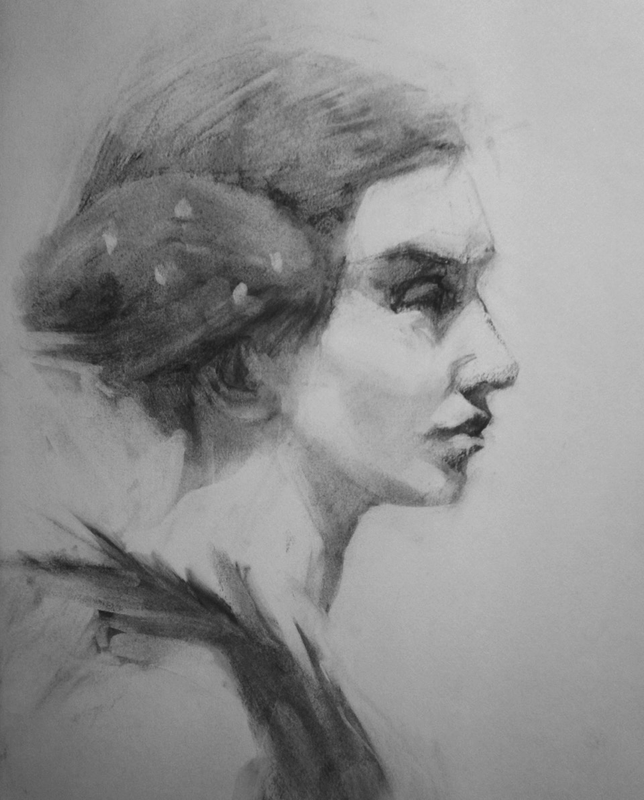 Working with vine charcoal, instruction will emphasize how to capture a likeness both accurately and abstractly. This class is open to all levels of experience. Beginners are welcome and will receive plenty of individualized instruction at the easel. The unspoken benefit of learning to draw and paint is getting into the “zone”. Akin to a meditative experience, both drawing and painting help you feel fully involved, focused and energized. Become a member and save on class registration.